The Master Scuba Diver Trainer rating sets you apart from other dive instructors by showing your commitment to continuing your dive training and being prepared to help others continue their training as well. You will be able to teach specialty diver courses. This opens the door to lots of fun while working. As a PADI MSDT you demonstrate to a dive employer that you have good experience in teaching diving and also can teach a range of specialty diver courses. This makes a dive centre or resort more likely to offer you a position when you are looking for work. After the MSDT Course you can start teaching each PADI Specialty course upon PADI’s approval. After or during your Instructor Development Course (IDC) we prepare you for teaching at least five Specialties. 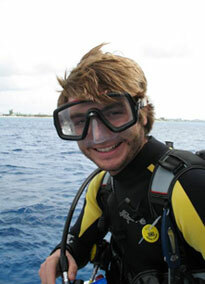 Our experienced PADI Course Director can certify you in 20+ PADI speciality Instructor ratings. If you want it there is a high probability that he will be able to teach it! Once you have taught 25 people how to scuba dive then you can apply direct to PADI to become a Master Scuba Diver Trainer. We will help you with the paperwork for this. Give yourself an advantage in the job search.